Amazing 5 bedroom 3.5 bath custom home beautifully updated and cared for sits on an oversized corner lot in exclusive Ahwatukee Custom Estates. 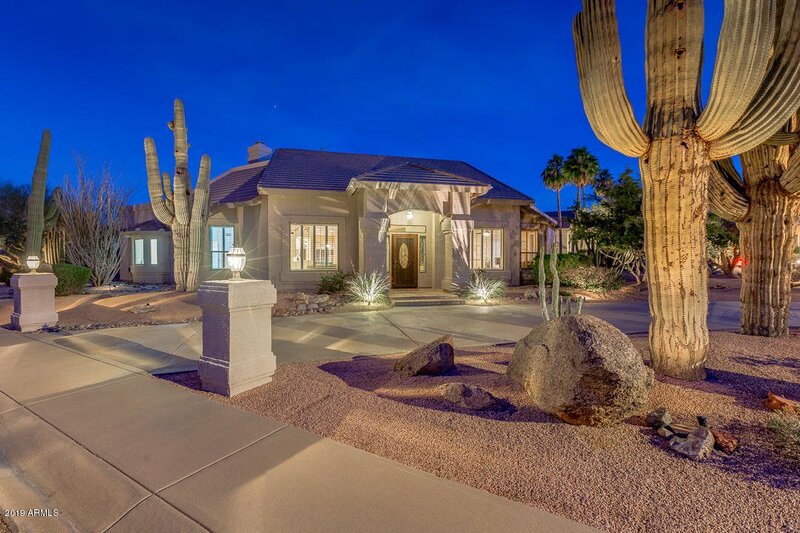 Breath taking unobstructed panoramic views of South Mountain Park! Across the street from hiking trails! Circular driveway leading to front entry. Fabulous foyer opens to formal living room with high vaulted wood plank ceiling, custom stone fireplace, large formal dining area leads to spacious family room with fireplace. Gorgeous updated kitchen with custom cabinetry, granite counter tops, kitchen island, stainless steel appliances, walk-in pantry and breakfast area. 3 downstairs spacious bedroom suites with their own remodeled baths. Huge master bedroom with panoramic mountain views! Stunning master bathroom with dual sinks, custom cabinets, custom counters, spa-like tub, walk-in showers and large walk-in closet. Secondary bedroom off the master with access to roof/deck. Resort style backyard with large wrap around covered patio, custom play pool with rock waterfall, large grass area, chip and putting green, fire pit area with built-in seating bench and above ground heated spa, beautiful mature landscaping and sensational views of South Mountain. Secondary driveway with electronic gated entry. Excellent Kyrene school, excellent neighbors, excellent location! To show is to sell! Listing courtesy of Keller Williams Realty Sonoran Living. Selling Office: Respect Realty.